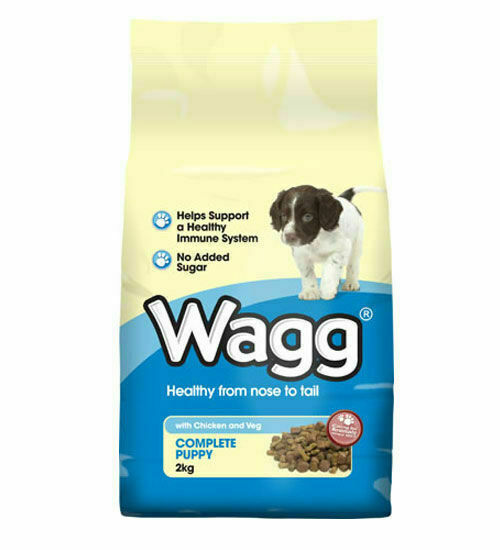 Best served alongside a full bowl of water, Wagg Complete Puppy Food is a nutritionally balanced dog food that aims to provide puppies and young dogs with a strong start in life. 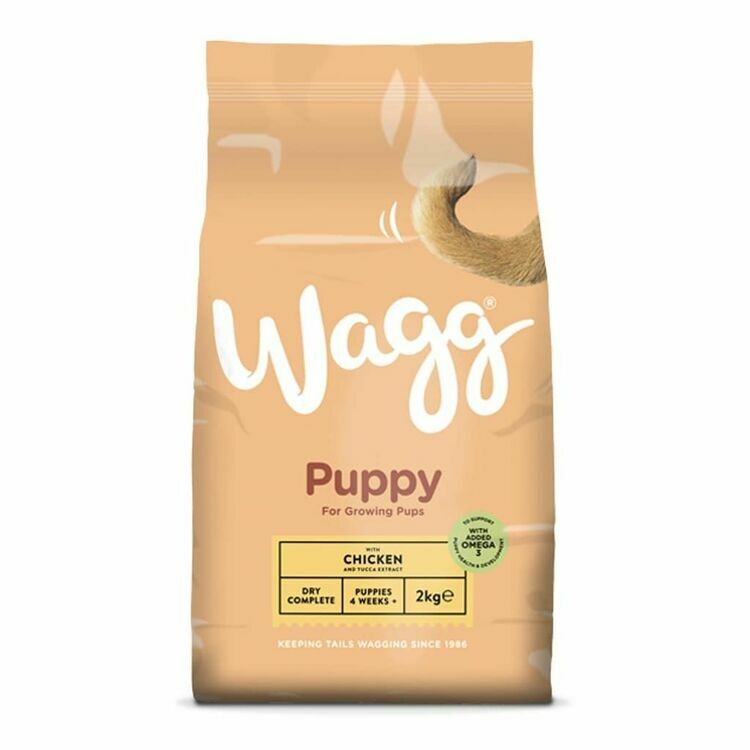 Filled with delectable chunks of meat, crunchy kibble and fish oil, this complete puppy feed is completely free from artificial preservatives and colours, guaranteeing that your dog will receive only that which is good for it. Omega oils from fish oil help to keep skin healthy and their coats glossy. Vegetable protein extracts, Vegetable derivatives, Minerals, Yeasts (0.08%), Citrus extract (0.03%) & Yucca Extract (0.01%). 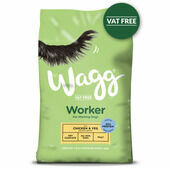 Available in 12kg & 2kg bags. 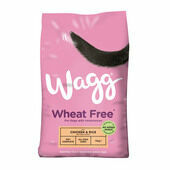 The team at Wagg firmly believe that animals require a delicious and healthy diet in order to have a happy lifestyle. 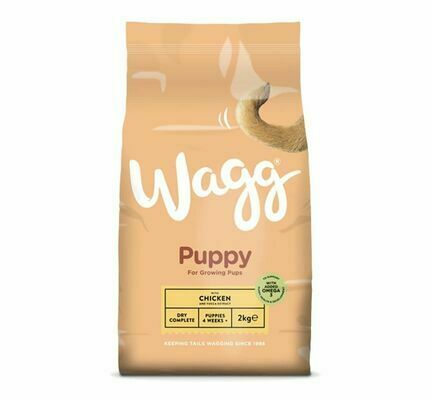 Their team of nutritionists have designed a range of balanced pet foods that are packed full of vitamins, minerals, nutrients and wholesome ingredients, which will help to promote healthy teeth and bones, supple skin and a healthy gut. 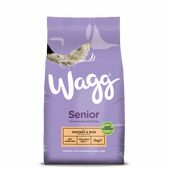 With a wide selection of foods for for a variety of pets, the range is full of flavour that will keep your animals coming back for more.